Let me tell you, nothing says luxe like truffle! 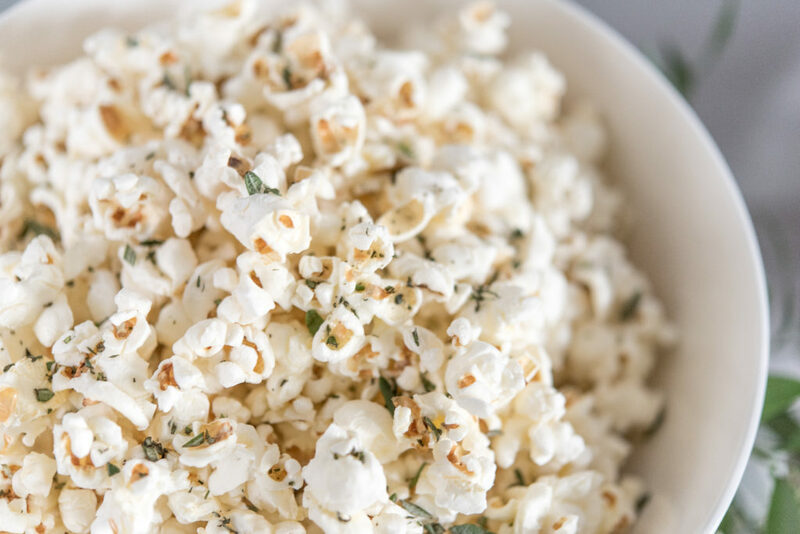 And why not do the ultimate high-low and add it to popcorn. You can serve this absolutely anytime, too! 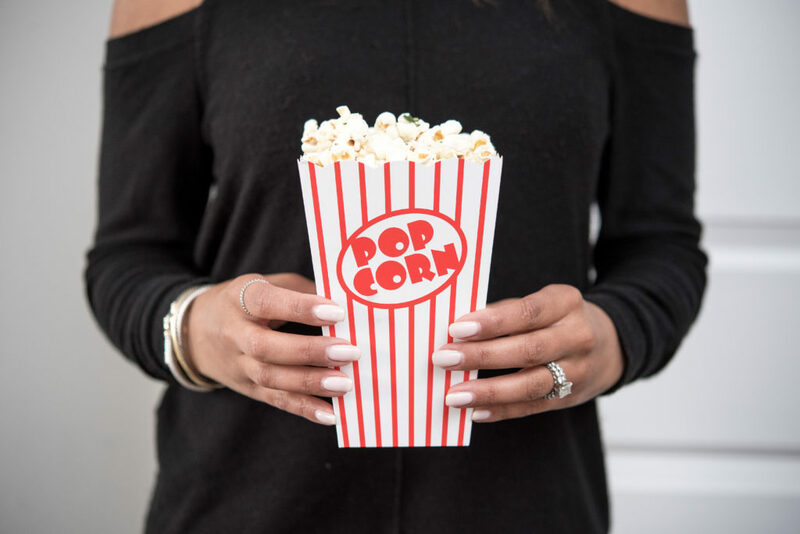 It is perfect for a night in binge watching your favorite Netflix shows, movie night, an awards show party (the Oscars are next month! ), or even as a fun appetizer. One of the best things about truffle popcorn besides its taste and smell (O.M.G.) is that it is sooo simple to make. 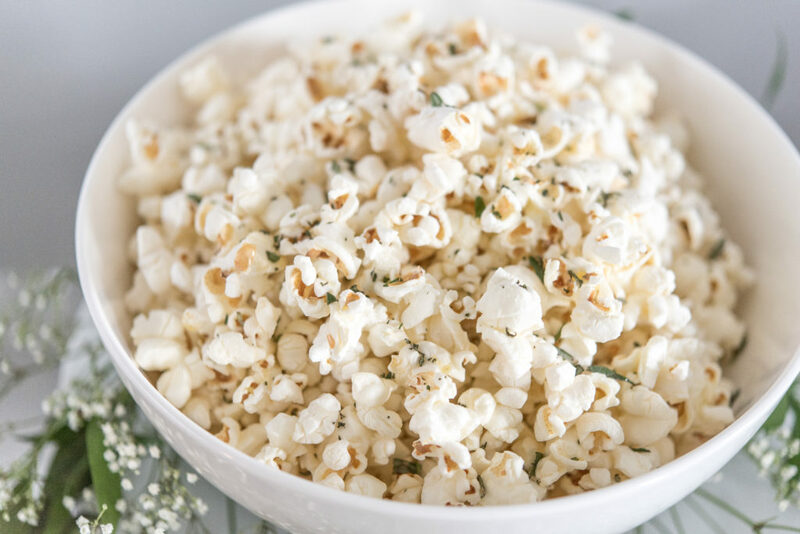 Pop your popcorn according to the directions and while its in the microwave warm up some truffle butter in a saucepan. 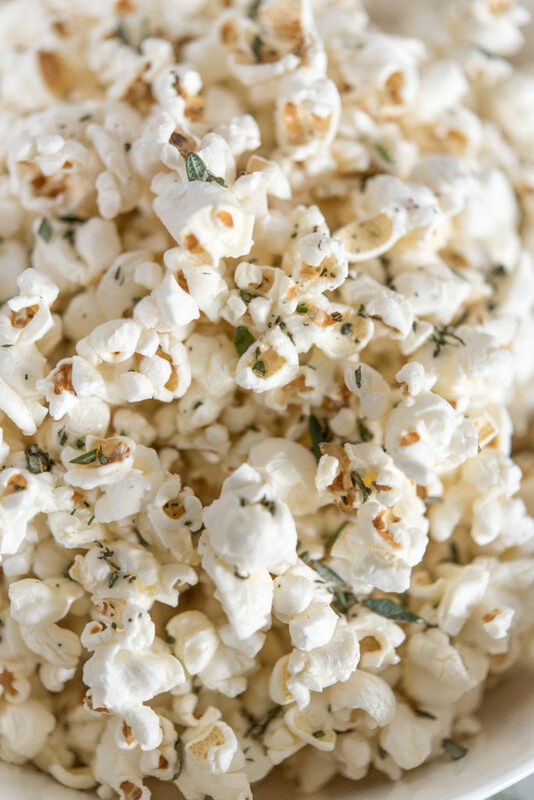 Once popped, put the popcorn in your serving bowl and drizzle with melted truffle butter. Add in the chopped rosemary, salt and toss – I always save a little bit of rosemary to add as a garnish. That’s it! You’re welcome in advance because your friends will thank you for this one – DELISH!